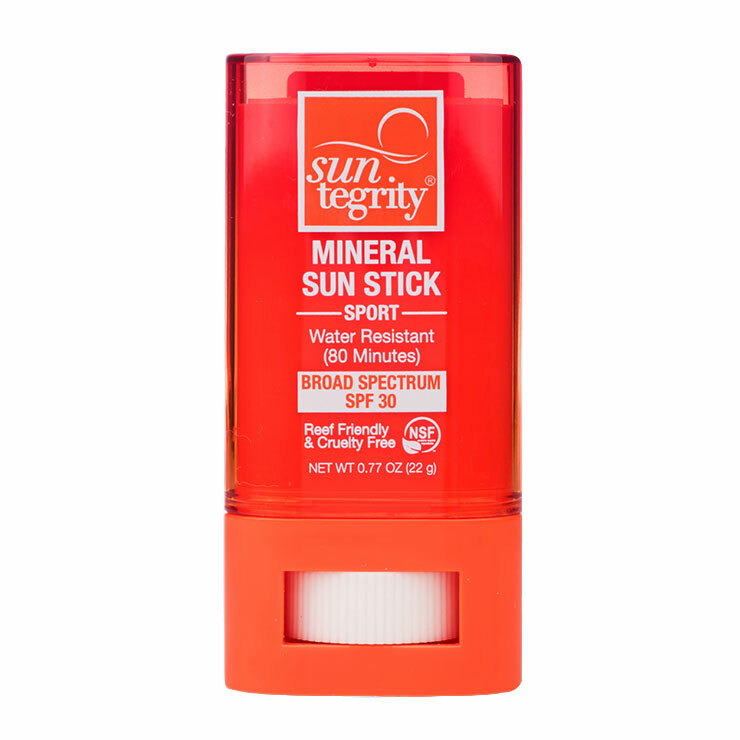 Suntegrity Skincare Sport Mineral Sun Stick SPF 30 offers broad spectrum protection in an easy-to-use stick. 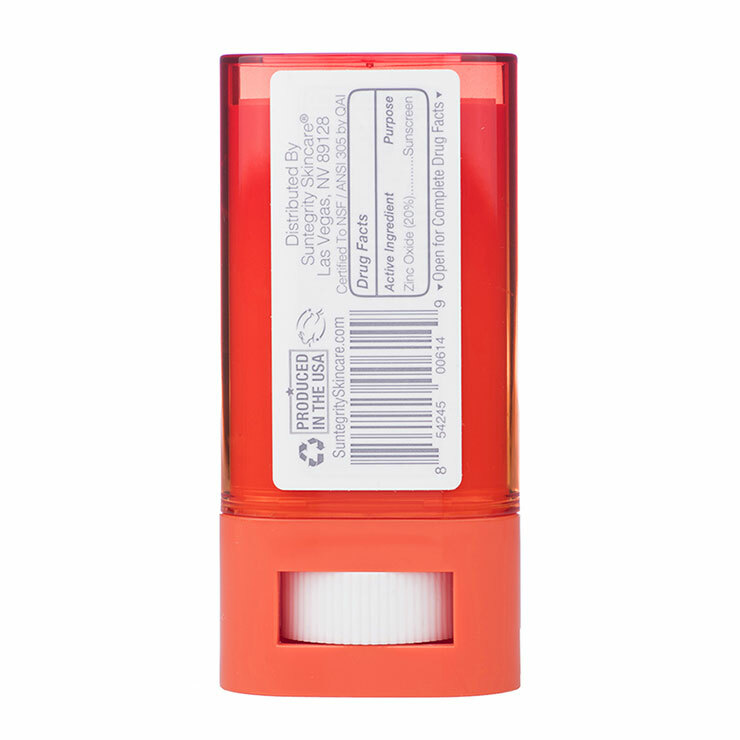 Made with non-nano zinc oxide, the stick glides on smoothly with no greasy or gritty feel. Coconut oil, shea butter, and cocoa butter feel ultra-moisturizing and softening. Orange and hibiscus oils lend a fresh, pleasing scent that uplifts the senses. This SPF is water resistant and reef friendly, and is super convenient for UV protection on-the-go. Glide stick over skin for UV protection. Works especially well on face, neck, chest, shoulders, and hands. Active Ingredients: 20% Zinc-Oxide (Non-Nano) Inactive Ingredients: Cocos Nucifera (Coconut) Oil*, Helianthus Annuus (Sunflower) Seed Oil*, Cera Alba (Beeswax)*, Euphorbia Cerifera (Candelilla) Wax, Copernicia Cerifera (Carnauba) Wax*, Butyrospermum Parkii (Shea) Butter*, Ricinus Communis (Castor) Seed Oil*, Tocopherol (Vitamin E), Theobroma Cacao (Cocoa) Seed Butter*, Aloe Barbadensis Leaf Juice (Aloe Vera)*, Citrus Sinensus (Orange) Essential Oil*, and Hibiscus Flavor Oil *Certified Organic Ingredient(s).